The integration of SkyWalking and Istio Service Mesh yields an essential open-source tool for resolving the chaos created by the proliferation of siloed, cloud-based services. Apache SkyWalking is an open, modern performance management tool for distributed services, designed especially for microservices, cloud native and container-based (Docker, K8s, Mesos) architectures. We at Tetrate believe it is going to be an important project for understanding the performance of microservices. 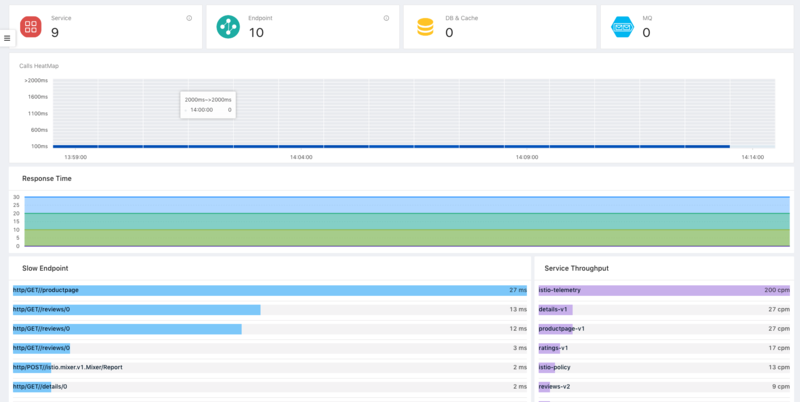 The recently released v6 integrates with Istio Service Mesh and focuses on metrics and tracing. It natively understands the most common language runtimes (Java, .Net, and NodeJS). With its new core code, SkyWalking v6 also supports Istio telemetry data formats, providing consistent analysis, persistence, and visualization. SkyWalking has evolved into an Observability Analysis Platform that enables observation and monitoring of hundreds of services all at once. It promises solutions for some of the trickiest problems faced by system administrators using complex arrays of abundant services: Identifying why and where a request is slow, distinguishing normal from deviant system performance, comparing apples-to-apples metrics across apps regardless of programming language, and attaining a complete and meaningful view of performance. Launched in China by Wu Sheng in 2015, SkyWalking started as just a distributed tracing system, like Zipkin, but with auto instrumentation from a Java agent. This enabled JVM users to see distributed traces without any change to their source code. In the last two years, it has been used for research and production by more than 50 companies. With its expanded capabilities, we expect to see it adopted more globally. Istio has picked up a lot of steam as the framework of choice for distributed services. Based on all the interest in the Istio project, and community feedback, some SkyWalking (P)PMC members decided to integrate with Istio Service Mesh to move SkyWalking to a higher level. So now you can use Skywalking to get metrics and understand the topology of your applications. This works not just for Java, .NET and Node using our language agents, but also for microservices running under the Istio service mesh. You can get a full topology of both kinds of applications. It can accept different kinds and formats of telemetry data from mesh like Istio telemetry. Its agents support various popular software technologies and frameworks like Tomcat, Spring, Kafka. The whole supported framework list is here. It can accept data from other compliant sources like Zipkin-formatted traces reported from Zipkin, Jaeger, or OpenCensus clients. There are two kinds of probes: * Language agents or SDKs following SkyWalking across-thread propagation formats and trace formats, run in the user’s application process. * The Istio mixer adaptor, which collects telemetry from the Service Mesh. The platform backend provides gRPC and RESTful HTTP endpoints for all SkyWalking-supported trace and metric telemetry data. For example, you can stream these metrics into an analysis system. Storage supports multiple implementations such as ElasticSearch, H2 (alpha), MySQL, and Apache ShardingSphere for MySQL Cluster. TiDB will be supported in next release. SkyWalking’s built-in UI with a GraphQL endpoint for data allows intuitive, customizable integration. At Tetrate, we are focused on discovery, reliability, and security of your running services. This is why we are embracing Skywalking, which makes service performance observable. Behind this admittedly cool UI, the aggregation logic is very easy to understand, making it easy to customize SkyWalking in its Observability Analysis Language (OAL) script. We’ll post more about OAL for developers looking to customize SkyWalking, and you can read the official OAL introduction document. Scripts are based on three core concepts: – Service represents a group of workloads that provide the same behaviours for incoming requests. You can define the service name whether you are using instrument agents or SDKs. Otherwise, SkyWalking uses the name you defined in the underlying platform, such as Istio. Service Instance Each workload in the Service group is called an instance. Like Pods in Kubernetes, it doesn’t need to be a single OS process. If you are using an instrument agent, an instance does map to one OS process. Endpoint is a path in a certain service that handles incoming requests, such as HTTP paths or a gRPC service + method. Mesh telemetry and trace data are formatted as source objects (aka scope). These are the input for the aggregation, with the script describing how to aggregate, including input, conditions, and the resulting metric name. Service, service instance, endpoint metrics analysis. Consistent visualization in Service Mesh and no mesh. Topology discovery, Service dependency analysis. Slow services and endpoints detected. ElasticSearch 6 as storage is supported. H2 storage implementor is back. Kubernetes cluster management is provided. You don’t need Zookeeper to keep the backend running in cluster mode. Totally new alarm core. Easier configuration. MySQL will be supported in the next release. Please: Test and Provide Feedback! Mailing list: dev@skywalking.apache.org . Send to dev-subscribe@kywalking.apache.org to subscribe the mail list.